Pianos were treasured possessions in early Katikati as they provided much needed entertainment for the settlers. The first piano in Katikati now resides in the Katikati Heritage Museum. The piano arrived in Katikati in 1875 travelling on the “Carisbrooke Castle” with its first owners Dr. and Mrs. Fletcher. They bought it from Cramer Wood & Co. in Dublin, but it was probably manufactured in England by Chappell & Co. 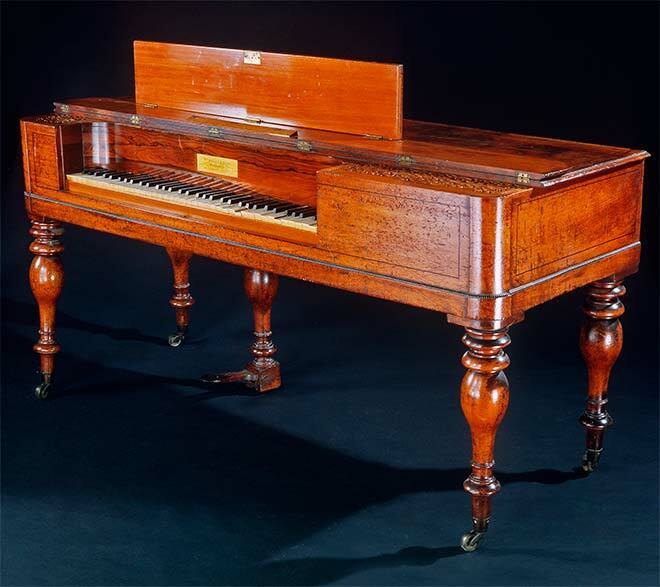 The piano was located at Homewood and for several years was the only one in Katikati. It is an upright model, unusual in that it has only one foot pedal. It has a pair of candle holders on the front panel together with fretwork backed by yellow silk. Pianos were treasured possessions in early Katikati as they provided much needed entertainment for the settlers. In the evenings singing around the piano provided a welcome diversion to a family and their guests. Whenever a public dance was scheduled, James Lockington (Snr) would transport the piano to the Orange Hall in his tip dray. The dance would begin when the piano arrived and end when Mr. Lockington needed to go home to milk his cows. This form of transportation must have played havoc with the tuning! 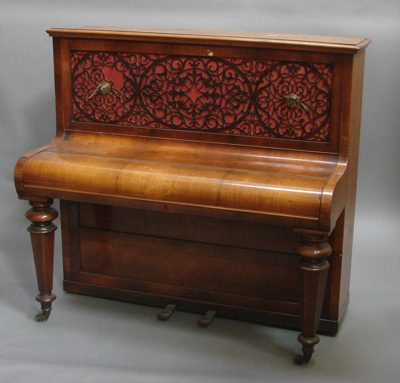 Eventually the piano was purchased from the Fletchers by James Lockington (Jnr) for his wife Mary Ann. The piano resided at the homestead on the first Lockington farm, which was where Highfields is now. Then Roy Lockington (grandson of Lames) sold it to Mr. Les Sinton of Tauranga. He removed the deteriorated fretwork decoration and replaced it with a solid wood panel. The original candleholders were not reattached. The piano returned to the Lockington family to Mrs. Stella Wills (Mary Anne’s granddaughter) who donated it to the Katikati Heritage Museum through the good offices of her daughter Nancy Bastes.